Status: offline This game punishes the Soviets way too much, they have low cv, low everything in '41. What if we could move troops quicker? It would make more sense to me since '41 is so imbalanced. This game punishes the Soviets way too much, they have low cv, low everything in '41. What if we could move troops quicker? It would make more sense to me since '41 is so imbalanced. Status: offline In the first weeks/months the soviets are penalized in almost everything due to disorganization in leadership but that will be reduced/removed later on. Status: offline I found the Soviet Cavalry units to have excellent movement in 41. Status: offline And when they enter the board they have 0.7cv. I put them to train up in Gorky. Status: offline Tovarish. Use the player preferences to make any adjustments you believe should apply. Use the editor to make scenario changes. Change the leader ratings - better leader traits mean more movement points if you disagree with the designer's decisions. When you want to play H2H, negotiate the parameters with your opponents to settings you can both agree are fair and balanced. Preferences and the editor can turn straw into gold for you - assuming you play the AI. I personally think the designers have already had to contort history more than a little to provide balanced play in Turn one and throughout. The Axis player loses many units from the OB between Nov 42-Feb 43 even when he chooses not to try his luck at Stalingrad. Playing both sides well in stock campaigns requires an enormous investment of time and patience (obsessive compulsion also helps). in capable hands. 1942 is even more difficult for the soviets than 1941. The Soviets may have low everything in 41 but they can 100% move faster eastward than the Germans can pursue. To a certain point of course. See if you know the supply system you can keep the Germans on a leash for a great deal of the time in 41. Status: offline I generally find the movement of the Soviets to be okay. The only thing I would like to see changed is the deliberate attack for motorized and armored divisions reduced. They cannot move and do one, AFAIK, and often times they cannot sit still and participate in a deliberate attack. And when they enter the board they have 0.7cv. I put them to train up in Gorky. You don't need to attack the Germans to launch a counter attack, especially against aggressive and inexperienced players. Status: offline I see imbalance only for motorized units in 1941. For comparison: German units – 50 MP, Soviet units – 18. 18 MP it's only 2 more than infantry units, even cavalry have much more (22). With more strict penalty for lack of trucks/fuel etc. Status: offline Of course Soviets didn't used them good like Germans. It's difficult to compare prepared advance and unprepared defensive battles or counter-attacks. But if soviet player have normal situation on fronts and normal status of his motorized units(full trucks,fuel,ammo etc.) why they can't be used more better? Status: offline Okey. Let's divide game term “MP” to 2 parts – normal movement and spending for attacks. If we consider German and Soviet tank division in same status (both have 100% supply, zero fatigue and others any parameters that can affect movement). Why is soviet unit have in 3 times lesser Mp than german? In Soviet Russia physics works so special? Probably for Soviet units can be increased MP requirements for attacks. I don't think that my suggestion about MP can ruin balance in 1941. Germans lost 5 MP to 45. Soviet side gain 7 to 25. Also I suggest to complicate getting supply. I don't want discuss this things for Germans atm, but Soviet side getting any supply too easy. Motorized units have no problem with trucks,fuel,getting replacement too fast. It's unreal. With these difficulties for getting supply there can be reworked penalties for movement and with not best generals this will show more realistic numbers for MP of soviet motorized units. Status: offline If we raise the available MP then we'll get back to the gamey soviet tactics to run instead of standing and fight. The current solution with MP cap may be easier to program than to apply 1 extra MP cost per non-battle hex move. Status: offline I'm read AARs and almost all of them have “run tactics” because currently soviet side have no point use something else. Do you think current MP ratio of soviet motorized/cavalry/infantry units looks ok? I'm read AARs and almost all of them have “run tactics” because currently soviet side have no point use something else. Well, the low MP os soviet motorized units in 1941 reflects the chaotic situation of the first weeks of 1941, imo. Many tank units were farfrom their depots, or run out of fuel while going to combat and had no trucks to carry said fuel (same goes for ammo). You can have a point arguing that shouldnt be the situation for the whole of 1941, but the game is already balanced based on those assumptions, and changing it would be game breaking. I think they had to put special rules to reflect the chaos of those first weeks, and they chose to cap the soviet MPs, ammo and fuel resupply, among other things. You could argue the special rules should be other (one of the main problems of soviet leadership during 1941 was the lack of general awareness of the situation, kamikaze orders by Stavka/Stalin and lack of coordination in counterattacks) but those things are far more difficult to implement in the game, so they put caps in many other things for soviet units. Why is soviet unit have in 3 times lesser Mp than german? In Soviet Russia physics works so special? It's difficult to show how disorganised Soviet forces were in 1941, but mechanised units had not been issued with their full TOE of trucks, men were marching carrying some of their heavy equipment, at least the infantry had horse carts to carry their equipment. Some tank units were stopping every 15 minutes, on the march, to make running repairs and adjustments to keep their vehicles going. Confused and constant changes of orders had units marching and counter-marching over the same roads. Lack of radios meant that, as soon as a unit moved and lost contact with the fixed comms net, control was lost. 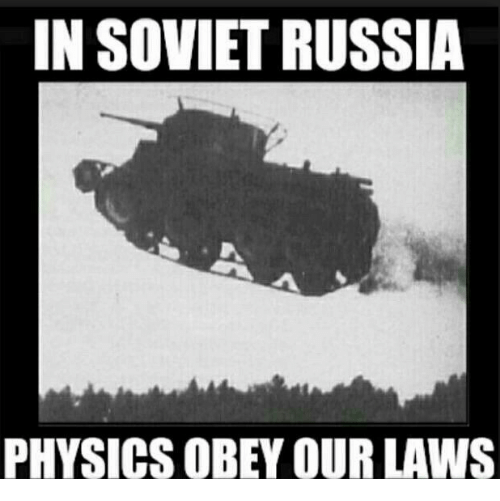 In Soviet Russia in 1941 the 'physics' did work differently. Historical balance is impossible, as no Soviet player would play under the real command and control limitations which actually applied in 1941. Status: offline Let's discuss something with simple examples from history. What about movements of Mech corps at start of the war. 1st Mech corps – from Pskov to Krasnogvardeysk 2 days marching (in the game it's around 12 hexes with various terrain). 8th Mech corps – from various locations(let it be average Drogobych) marching to east of Lvov – 1 day (total distance around 10 hexes with various terrain). If some trucks/tanks was broken during marching it's does not mean that whole division stops. And there is in the game effect of it – damaged squads/tank after movement. Yes I agree about effect of confused orders but in the game these orders given by players. Let's discuss something with simple examples from history. It is to reduce the effect of hindsight. Even after the disaster that was the first few weeks of the war, there was still hope among Soviet high command that a counter attack might be launched, and, in fact, there were counter attacks that were launched (that might have been of some success were it not for the horrible mess that was the Soviet command structure, at least in the short term). Up the Soviet movement of motorized units to 25 and players will use those extra MP to ensure that those units are far away from the front. Still, as I mentioned before, I would like the cost of a deliberate attack by Soviet motorized units reduced in the first few months to enable the kind of counter attacks that were launched. Status: offline Another simple example. 19th Mech corps of Karpezo. 3 days marching from bases to front, you can see final position of this at the GC-41 map. Look at difference, it's because 213th MD had huge problem with trucks. Actually only mobile parts of these TDs reached theirs destination points in that time(on 25 June). Also looks like Rokossovskiy “stealed” a truck reserve of M.D. for his corps. So, if motorized unit have no problem with various supply and have np with trucks I see no point why they can't have more MP than 18. 25 is normal number and with my suggestions for more strict penalties(for lack of trucks etc.) it would be more real numbers. I agree that 25 mp is about right for Soviet mech units in the Summer of 41. I've advocated for it before. Offensively it would promote them from totally useless to almost useless which is about the right balance I think. Even at 25 mp the armor would still pose less of a threat than the cavalry, but the Axis player could no longer afford to ignore it completely. Soviet mech units gain extra mobility in 42 so it's not an issue from then onwards. Status: offline War in 1941 wasn't really ballanced. In reallity Russian Tank Corps lost a half of their tanks in one week only mooving not fighting. War in 1941 wasn't really ballanced. In reallity Russian Tank Corps lost a half of their tanks in one week only mooving not fighting. What you mean "lost" and what about some proofs of it? Status: offline I mean marching loses. Mech Corps lost more tank during moving than during battles with Germans. For example 8 Mech Corp. It had lost more than 50% tanks between 22 and 25th June before it joined battle of Brody. Logistics wasn't Soviet's strength. Probably some loses were connected with desertion from fronline. Proofs? Were did disappear thousands of soviet tanks? Proofs? For example David Glantz's books. Or more popular authors like Vladimir Beshanov or Mark Solonin. I mean marching loses. Mech Corps lost more tank during moving than during battles with Germans. For example 8 Mech Corp. It had lost more than 50% tanks between 22 and 25th June before it joined battle of Brody. Logistics wasn't Soviet's strength. Probably some loses were connected with desertion from fronline. Do you think that example of 8th Mech corps in first days of the war it is normal? It's a first days of the war when most units and their rear/support/supply parts was not prepared and not normally mobilized. Also it's battle situation when was difficult to evacuate damaged tanks or trucks. Some of these things already presented in the game - Soviet units have penalty for moving in 1st turn, Soviet units have "surprise" attack penalty in 1st turn, there is also reliability papameter when tanks gain broken status during combat,Soviet generals have lower Admin raitings, Soviet side have not bonus to Admin raiting as Pz Corps/Groups, German side have higher exp that make them have lower losses. Can we discuss more average examples? Btw popularity not makes authors are good automatically.